Now is our turn! 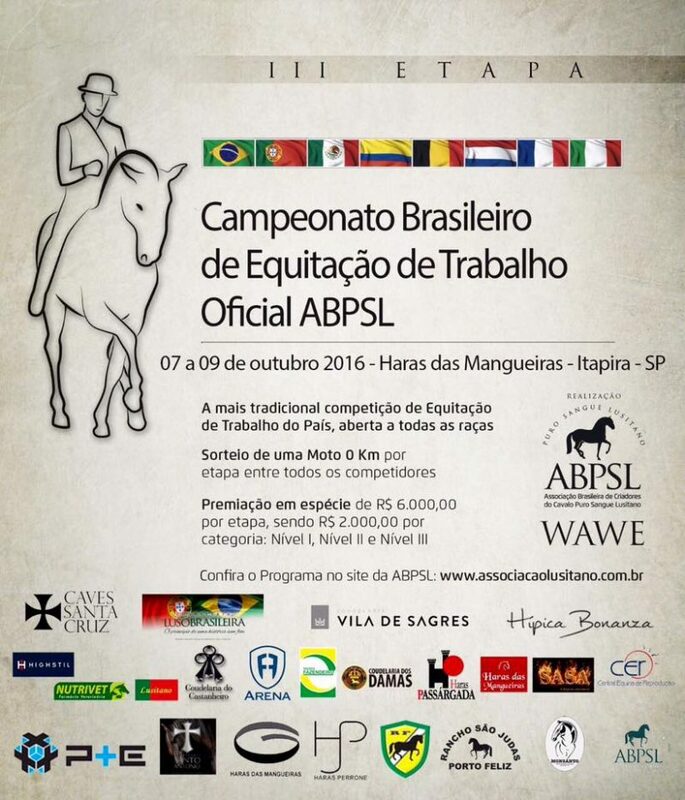 The III Phase of the 2016 Brazilian Working Equitation Championship and the V Phase of the 2016 Paulista Dressage Championship will be in our home! Haras das Mangueiras! On October 7, 8 and 9, 2016. We will be more than pleased to host not only the competitors, their families, friends and the ABPSL team, but also the current European and Worldwide Working Equitation Champion, Miguel da Fonseca. We will be gifted with his participation and special typical Portuguese exhibition with horses and dancers during the event. Come and witness the beauty of the Lusitano Horse!